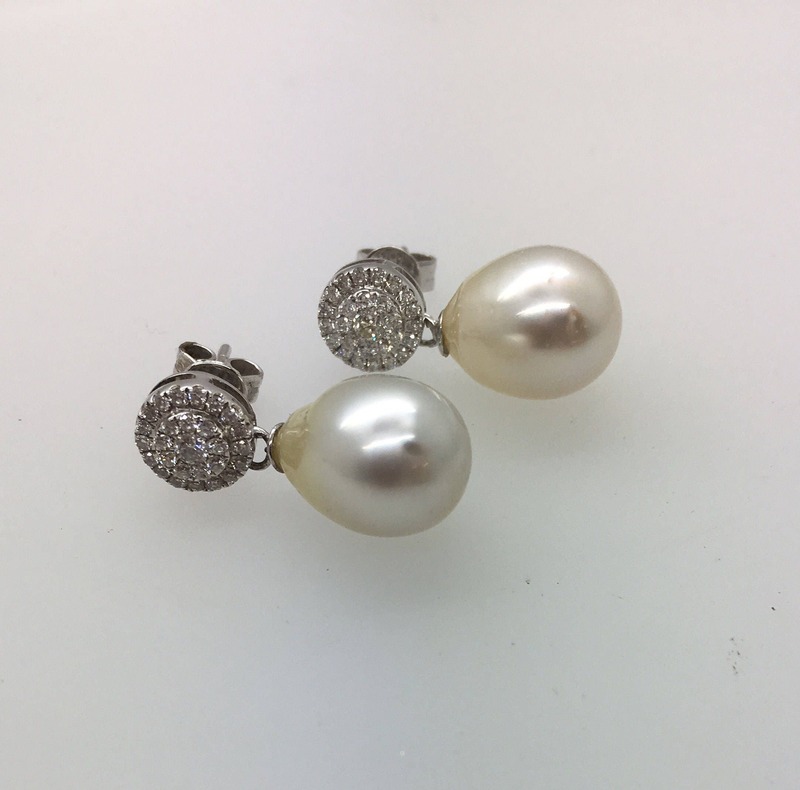 Exquisite South Sea Pearl & Diamond Earrings. 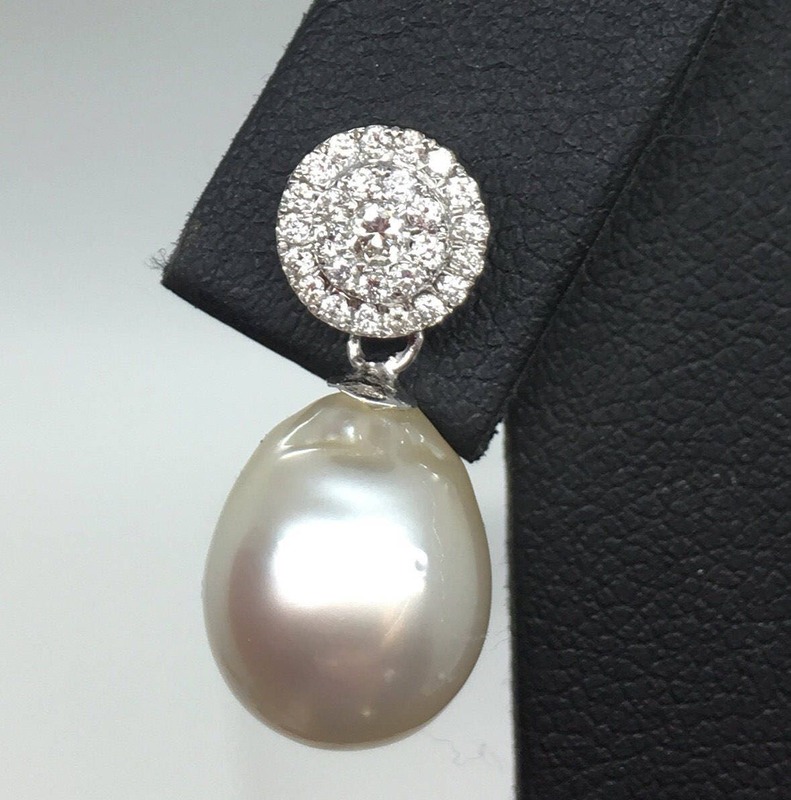 The Pearls are set in 18ct White Gold with a total of half a carat of sparkling Diamonds - Stunning! 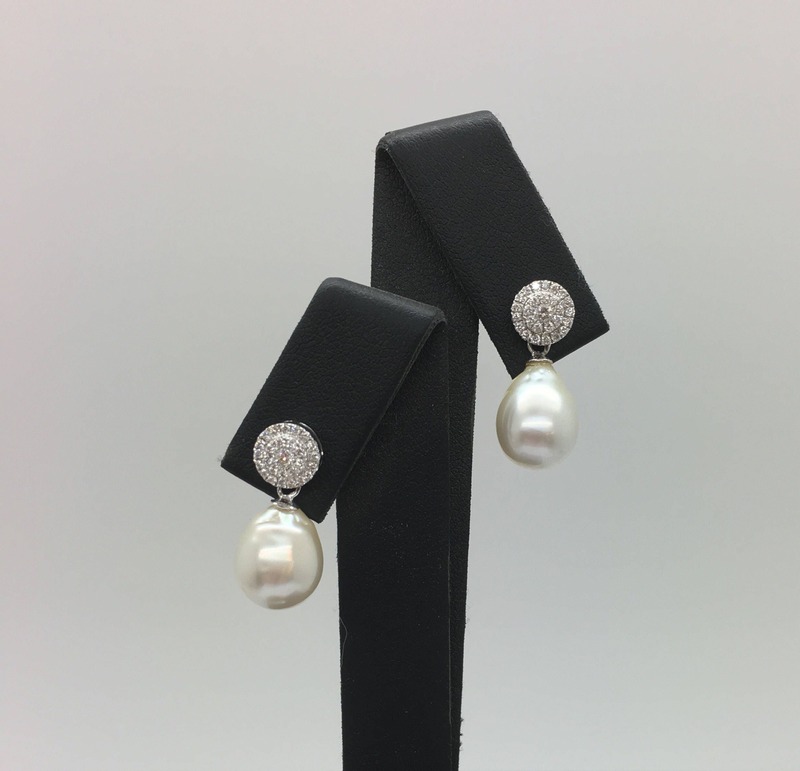 For pierced ears - secure quality earring backs.